For this tenth episode, I talked to David Darmanin, Co-Founder of Hotjar. His company helps tens of thousands of app and site owners to see how visitors are really using their software and collect more and better user feedback. 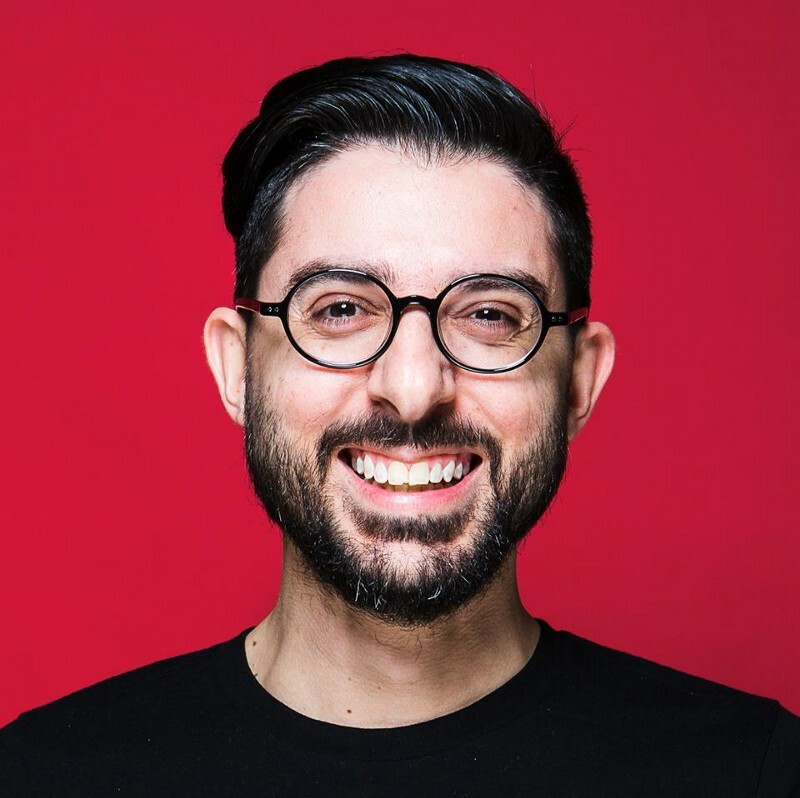 David runs Hotjar’s remote team from Malta, a small island in the middle of the Mediterranean Sea. He previously used to build websites, was a VP of Design, and is now spending most of his time working on people and culture at his famous scale-up company. We chat about why he got started, how they defined their values, why he’s not taking VC funding and how he practically manages his international remote team. Jeroen: Hi David, it’s great to have on Founder Coffee. David: Thanks for having me. It’s great to be here. Jeroen: You are the founder of Hotjar. Obviously for those who don’t know yet, or perhaps don’t have a SaaS company or a website, would you like to explain what Hotjar exactly does? David: Hotjar is kind of a group of tools brought together in one solution that allows you to pretty much understand how your site or app is being used. You can visualize where people are clicking or how they are scrolling. You can even replay the actual experience or see where they are dropping off in the journey, and then you can also ask questions to figure out why these users or visitors are behaving the way they do. Jeroen: Why do people usually use Hotjar? What are the problems they are trying to solve? David: Typically, I’d say there are two kinds of groups that we’re addressing. There are marketers or sales individuals who are trying to attract visitors to a page or site, and they want to see how they are actually reacting to the content there, their experience and what happens after that. In a way, improving the performance of their spend, budget and of their time to get more value out of what they are doing. Then we also have product teams and support teams or customer experience teams. They are typically more interested in looking at a returning user or a customer, and how the experience is unfolding for them. This helps them identify blocking points or the pain points, stuff that they can improve for the customers. Jeroen: So it’s all about learning where to improve? Jeroen: Is that something you started from your own experience? When did you decide to build Hotjar? David: I had worked internally in a software company. I was there for quite a few years actually, starting off as what was called an optimization specialist, and like a designer, all the way to VP of Design. I attended quite a few events, used quite a few tools. In many ways, I was the actual user. After that I moved on to consulting with quite a few big businesses and also startups. It was interesting to see my pains were shared by other companies. It was interesting to see how they described what they were looking for, and their lack of knowledge around how these tools can be powerful. That’s the journey we’re on right now. With Hotjar, I’m building a solution I wanted back then basically. Also, hopefully changing the way change happens. That’s a big phrase to say. It’s mainly because I mentioned before that Hotjar allows you to ask questions. There is analytics and data, but there is also feedback, qualitative inputs. With Hotjar, we are aiming towards combining these two together in a very powerful way. Rather than just look at the data, it would actually help you understand what the hell that data is telling you. Like, what’s the story behind a certain behaviour? Jeroen: In a way, you are trying to get holistic feedback from people that are not next to you? David: Correct. It’s so easy in today’s world to get stuck behind the screen, looking at your graphs and data. The teams are not speaking enough to the users to understand what’s really driving that behavior. Jeroen: So here it is all about getting insights into a person’s experience, without having to speak or sit next to them. What’s the company you were working at when you were doing design and what were they into exactly? David: This is pre-smartphones. You’d think I’m old when I say that. Basically it was a software utilities for PCs. It was really super basic B2C software for the Windows OS. Then I moved on and that’s when I started working for Conversion Rate Experts. That’s where I started doing all the conversion targeted work. Jeroen: It started more from a conversion standpoint? Jeroen: Now I imagine it’s also more about usability as well? Let’s put it this way, I was always a design-product UX passionate guy, and then conversion was kind of where I started to work closely with marketing to bridge the gap between the two. You really start to realize that in today’s world, where the experience is everything, this is really important. The way your users talk about you or rate or review you, is really what’s important — maybe more than what it was a decade ago. Maybe it would make sense to use the term ‘growth hack’ here. In reality, as we move forward, growth and optimization really comes from improving the customer’s experience. Making it worthy of word-of-mouth, for people to say that you are doing something amazing, is the only way to win going forward. In many ways, we’ve built Hotjar around the same thinking and that’s how we run our sales. Obviously we do our fair share of inception, eating our own dog food. We use Hotjar to improve Hotjar, and we try and put it in that way. Rather than testing, we’ve heard a lot about split testing and testing, rather than testing for the sake of testing. We are always obsessed about users and our customers, to understand where is the next biggest improvement that we need to make. Then the test really is the tool you use to measure what you are doing, but it’s not the means to the end. Jeroen: How does that work for you then? Do you have a test environment that you use yourself or are you also working on the production side that includes just developer testing? David: No, we definitely have a testing environment. But we also do something that we internally call, feature flagging. We sometimes build things which are only available on our own account. That allows us to experiment a lot and see if we are actually using it ourselves, before we make it available to everyone else. Jeroen: Makes sense. It’s something we do too; it’s often easier. Also, then you can just deliver it to a handful of users, see what they think before you basically roll it out to all of them. Jeroen: You mentioned you were into design first. Did you study design? Actually, could you tell us more about your backstory, like, where did you grow up? David: It’s a fun story there actually. My parents immigrated to Australia from Malta in the late 70s. Basically, back then, Malta being a tiny island, wasn’t going through the best times. A lot of people left the island. My parents went to Australia. My dad wanted to create a community. He bought a small Mac and a big printer photocopier so that he could kind of create some stuff that he could circulate to create a community. That’s where I really fell in love with design. The whole idea of using the interface of that Mac was a very first mackintosh class. And also, I totally fell in love with the idea of creating and printing stuff out. I was quite young. Fast forward, this was always my passion. I was always doing design, but ironically, I ended up, for some reason, going to law school — which is very funny now. Jeroen: I heard that before. How does that happen? David: Basically, I was always very good at languages. Apparently, I’m quite persuasive. Everyone back then shared their career advice, which is always around what you should do or where you should go. In Malta, going to law school is kind of the big thing. It’s crazy how many people go to law school. Jeroen: Is it because it’s a government job? David: I think historically, but I think it’s changing now. It’s just that professions like lawyers and doctors, in Malta, used to be looked at with a lot of respect. I was pushed a lot in that direction. Ironically, I pretty much never went to a lecture at university. I managed to hack my way through. I actually got my doctorate, warrant and everything. I have no idea how! During that time, I was always working in design, so that I could go out on the weekends. I started an advertising agency. I was like, “Of course, I can do a site.” I had no clue obviously. This was a very long time ago. That’s where it all started. I just learned enough to be dangerous. I played with some Drupal, ASP, and unfortunately Flash, because the client wanted Flash. That was actually the point where I built something. It was very frustrating for me to measure what I’ve built there — is it good or is it not good? It was frustrating to me that I relied on my client to give me that feedback. The aspiration would be to try and win an award or something. In a way, that’s really the David that we’re building Hotjar for. We do sell Hotjar to really big clients. But we have this vision, which is, we’d like to really change the way that web is built and improved to make it more about the user. I think putting this technology into the hands of students, small tiny startups, people will just get going. Being able to see or measure the response to what they have created, is a very powerful thing to have access to. Jeroen: I actually saw that you started a podcast yourself, or is it about to launch approximately after this is aired? David: It will be launched by then, yeah. Jeroen: The Human Strike Back. What’s the idea behind the title of the podcast? David: The big idea, is to tie the podcast to our vision. Like we were saying before, it’s so easy to end up stuck behind a screen, looking at the numbers and the lines. Let’s change the layout, let’s move the button. The reality is, the only way to truly win, to truly succeed, is to understand the challenges of users and see what they are trying to achieve. Everyone kind of wants to become a better version of themselves, right? The idea is to understand the emotion and form a connection to their challenges. And then, to basically build around that. That’s the whole idea with the ‘human strike back’. We are interviewing very interesting personalities about their stories. Of how we’re putting people first, as opposed to just the numbers or revenue or the conventional metrics. Putting people first, actually allows them to be very successful. In some of these cases, because they could understand all that data in a better way. There is also going to be some other stories that talk about putting people first, not just from an experience or a business point of view, but also from a personal point of view. The team and the culture. It’s going be quite interesting. It’s just giving a bit of visibility to a different way of thinking. Jeroen: Actually, I’m trying to do a very similar thing with this interview series/podcast. I’ve seen that many podcasts are about figures and growth hacks, and I don’t know what. It’s very nice to see the people behind it, what the actual issues are. The way you are improving your company, instead of how much MRR you’re making. It adds so much more value, I think. David: Absolutely. It’s the real story! Jeroen: So what is the kind of culture you are trying to set up at Hotjar? What is the kind of company you are trying to build? David: When we started working together, the co-founders, the four of us were based in Malta. Though one of is Swedish. The other person we worked with, was based in Sweden, that’s Johan. Even though we were four in Malta were so close to each other, we still worked remotely. Purely because we knew we were going to be remote eventually. Why I started that was because it underpins a lot of our culture, which we believe, is to hire amazing people that share the same values. We do know they might be different to us, but they should be able to add to our culture or at least match it in some way. That definitely has a big impact on the way we all are, in the company. We believe a lot in freedom and leadership versus management. Very early on, when we were starting to hire the first few people, we kind of listed down some values that we had to hire around. This is something I highly recommend that everyone does when you start to hire — sit down together, founders or initial group of people running the startup. What do we value? What do we like about the way we work? What do we value about each other or about the way we are? And don’t be fake. You have to be honest, because even if you are kind of different or unique, it’s good to embrace that. It’s good not to be influenced. That’s what we did. We love to be very lean and be very honest. We value a lot of respect. So we listed all these values down. That was now three years ago or three and a half years ago. Now that team is, we are pretty much I think around 60, we’ve come a long way. It’s a much bigger team. We’ve now brought in a third party. They’ve actually interviewed the whole team, and asked them how they feel about those original values. It was quite interesting. We had several exercises where people voted about the values they feel the strongest about. We are actually now launching new values. We are going to be launching them with the team. They are the ones that created them. We are just presenting the output of the study. Now we’ve brought it down to four simple values, each of which builds out kind of how that value comes into practice. We are actually going to be blogging about this whole process and these new values as well. That’s something that we will have on our blog soon! Jeroen: In the beginning you set it yourself, now you reviewed it with the team and something else came out or was it really similar? David: That’s a good question. There were some things that we hadn’t given enough importance to. But now they have come up higher in importance. For example, we took for granted how transparent we are, because that was just how we were running things. It’s actually come out as one of the strongest values we have. Now that has become one of these four pillars. Whereas there are some things that we had listed weren’t really values, we thought they weren’t. That was part of this process of having a third party look at us from the outside, which I think is very powerful. The thing is, it’s very easy to be biased, or to do it yourself, especially when you are a bigger team. Some things have shifted and more importantly, it’s distilling what’s there to make it more crystal clear and easier to share and understand — especially when hiring and building out the team, to make sure they accept it all. Jeroen: That must be really difficult if you have 60 people and they are all over the world, not physically together as a team. How do you keep that all in sync? David: I think it is just a mindset situation. I find it to be much easier. I was in a company where 150 people were in an office all together. To me, I think that was more complicated than doing it remotely. That’s probably just the nature of who I’ve become as well. What do I mean by that? I think when you are in an office together, there is obviously huge advantages — like the fact that you can bring everyone together and just talk directly. I think my gut feeling is that it actually needs a certain political situations as well — of where are you sitting and who is close to whom, and this person is always next to that person. Then when you are too big, you need to think about why certain people don’t speak to certain people. I think remote offers an interesting opportunity, which is, it instantly gives you a quality. As long as your internet connection is as good as everyone else’s, I’m the same distance. For example, myself as the CEO, I’m the same distance away from everyone in the team. We all sit next to each other. What we found in terms of keeping ourselves in sync is really, the word, ‘discipline’. I think again, when you are in person in an office, it’s very easy to drop the discipline parts because you kind of just take it for granted. But I think with remote, it forces, in a way, to be even more disciplined. Now that we are 60, for example, we are doubling down on alignment. We really write and build together — what our priorities are and what we are working on. We are using the model from Salesforce called V2MOM. Jeroen: And what is that, exactly? David: Any team that’s grown to over 30–40 people, it’s definitely an interesting model to look at. Marc Benioff created it. It’s basically the idea that every team or nearly every person should have vision values, methods, obstacles, and measures. Basically, now that we are a bigger group, we are defining these for every team. We are still doing this. This is going to help us be better aligned. Then there are simpler things that we do. Every Friday, the whole company manages in one year to demo what’s been done — only what’s been done not actually shipped. Then we have company meetings. We have the weekly, what we call, bonfire meetings, where we chat and talk. I think there is always a way to kind of replicate the outputs. I think the dangerous thing is when you are remote, you can’t think in terms of trying to replace what was in physical, but instead to just think in a different way. Jeroen: For instance, we also have all these biweekly or weekly meetings that you are mentioning, but we do it physically. One of the main attributes we have in such a meeting, is a whiteboard. How do you replace whiteboards? David: The reality is that, in these weekly meetings we don’t really need a whiteboard. What we do is that everyone who is demoing, we just use zoom. You either share slides, which might have something in it that you want to show the team, or you just share your screen and you show what you’ve actually built and how it works. Jeroen: If you have a meeting, do you write down points that somebody shares in a Word or Google document perhaps? David: That’s a good question, actually, because we take these things for granted. Now in our leadership meetings, what we do is, we definitely have this mentality of we don’t like to make slides and working documents beautified. We hate that. Everything is super practical and made for work. For example, when we do a leadership meeting, we actually put in a box which says notes, actions or whatever. These get written in there, then they get moved to Trello and assigned to the individual. Again, it’s all about discipline at the end of the day. Coming back to your whiteboard question, there are teams where they do struggle without a whiteboard. Especially when you are doing stuff like design, or you are doing stuff like user experience. But then they are using different tools and different approaches to kind of replicate that. We are now actually experimenting. I think G Suite has a physical hardware whiteboard which is digital for sharing, which is something we are going to experiment with this time. Jeroen: Interesting. I looked at the funding for Hotjar, and I didn’t find anything directly. Are you guys funded or are you still bootstrapped? David: The reason why you didn’t find anything is because we are self-funded. Jeroen: You never thought about picking up funding? What we found, is that we are profitable and we were profitable very early on. We are growing quite well, but we definitely do have challenges. When talking to some investors, we found that we do think in a slightly different way than your typical company. Probably because obviously, we are profitable and that’s obviously led us to be very nimble and very frugal, careful with money. We are always investing slightly behind the curve as opposed to ahead of the curve. The investors wanted us to be thinking much bigger, and investing much more aggressively. We are somehow really big believers in building an actual business that is profitable, that makes money. That’s something that we like a lot. I guess probably we didn’t particularly feel a good fit when we spoke to investors, and probably they didn’t feel fit with us as well. I guess since we don’t really need to raise money right now, there is no point of doing it. But we will continue to think about it going forward. It’s a funny situation though. I’ve had a few nights thinking about this. Because it’s interesting, especially when you have investors chasing you down constantly. There is this fear of missing out. Are we being stupid, not doing this? Most businesses tend to be on two extremes. One extreme is, they raise like crazy, invest like crazy, so that basically no one can compete with you, and you pretty much take over the market through force. That means that you have to move up market enterprise, charge high prices to make up for that waste. The other route is where you kind of take things a little bit slower, more profitable, and still can be growth oriented. That’s more kind of, the Basecamp or MailChimp like approach. I think as a startup, when you are growing and you are doing well, it’s easy to have a little bit of an identity crisis in terms of what you really want to do. I guess going back to the whole remote and freedom, we give everyone in the team budgets that they run themselves. They have allowances, people book their own leave. We really value our lifestyle and the way we are on the business. Given that we are profitable, we’ve decided to stick to that route for now. Jeroen: What is it that you do exactly at Hotjar right now? David: I’d say the main thing I do right now, is resist the temptation to interfere. Jeroen: You sit there all day or? David: No. Interfering in stuff. The thing is, as a founder, I’m a generalist. There is quite a few things that I’m quite experienced at. User experience obviously, conversion rates optimization, copywriting, etc. There is a lot of things that I’ve been involved in, for a lot of time in my career. When I’m working with the teams, I really want to jump in and join them. But you start to realize as you grow, being the CEO, that can be dangerous. Simply because it’s very easy to not allow your team to grow, to really own the how of ‘how we are doing things’. Plus, when you say something as a CEO, it’s taken as that’s the way it should be done. I’d say the main thing I’m learning about is, what’s the best way to find that balance between letting teams run on their own so they can grow, while also giving inputs as we go along. That’s something I’m learning. Actually, it’s exciting to be able to learn this new thing of how can you be a leader, and help empower others to learn while not interfering, and telling them what to do. That’s a really interesting challenge for me. Besides that, I’d say my biggest focus is definitely people and culture. That is my top priority; especially now that we are hiring also for some more specialized roles — director of sales, key roles in marketing, key roles in product, etc. Hiring is definitely my top priority. Finding people that can do a much better job than me, so then I’ll definitely be able to resist the temptation to interfere. Then, just general running of the business. In terms of looking at finance, leadership, prioritizing what we should work on next. I’m still very deeply involved in product, and I always will be. The roadmap for Hotjar, what we are building for the future and speaking to customers. That’s really what I’m focused on. Then the final piece is, I’m the only C level member of the team. So I’m very public facing. When it comes to stuff around privacy, or anything related to security, I’m the one who goes up there and speaks to the market and to our customers about any challenges or opportunities, or stuff that we are doing. Jeroen: You get on podcasts and stuff as well. David: Exactly, that’s the fun part. Jeroen: You seem to be very excited by the products, and building the company? Jeroen: You kind of feel like a builder? What is it that actually gives you energy while building Hotjar? David: That’s a good question, again. There are ups and downs. Definitely the journey is a tough one, and there are many, let’s say, tough moments as you go along on the journey. I think you know that as well. That’s why I tell many younger startups that I advise or help out, to whom I just give some advice and not get paid or anything, that, if it’s really difficult in the beginning when you start, then you should definitely consider that as a negative towards the business you are trying to create. Things do get tougher and tougher over time. It’s like you can’t be in struggling to sell or build what you are trying to do, very early on. If that is too difficult, scaling that is just gonna compound later. Jeroen: Do you think things get tougher? I actually think the opposite. I think you get better problems. You always have problems, but they improve. They might get bigger of course, on a bigger scale, but many things just get easier as well. David: They do. Maybe I didn’t explain myself well. The diversity of problems change. My point is, as you grow, your focus shifts more and more to other diverse type of problems. David: Whether that’s people, or hiring or I don’t know, regulatory, legal. There are so many things that then you need to add on top, especially as you start to break through, what I call the visibility thresholds. Like, as a company, when you reach the brand level. Some people that you say reach brand, I don’t know why they use ARR as reference. When you hit 10,000,000 ARR and you start to become more visible to the outside world, that’s where things do become more complicated. Don’t get me wrong. In terms of growing the business, definitely things do become easier, because people are more aware of you, so more people are applying. But things do get more complex as well. My point is that if it’s already tough, very tough in the beginning to sustain and grow, you are kind of already stuck. Later on, you will just add more complexities to it. It’s good to remember that eventually you are going to need to shift your focus away from that stuff to the newer problems. In a way, what you are building definitely has to have a little bit of a life of its own, and its own trajectory if you know what I mean. As opposed to someone who is selling manually, one deal after the other. Even in hiring, if you keep adding the complexities, it’s so easy to burn out and lose it. To come back to the original question, there has definitely been ups and downs. The energy you need varies at different stages. I think that’s where our purpose and our vision, I realize, have been so important to us. Even though we are only four years in, it feels like it has been much longer. The vision and our purpose, that’s what really keeps the fire alive, because we know that we, in terms of the product, what we’ve built and what we are doing, we are literally at the very beginning. We have barely started. If we didn’t have that, I can see now how it could be so easy to make it just about the product, and how easy it is to get tired of it all, if you know what I mean. That’s why it’s so important to have that purpose and that vision in place. Jeroen: You just briefly mentioned the risk of burnout, how do you guys manage this? How do you not get a burnout basically? David: That’s a good question. What we’ve done is, give a good amount of vacation leave, and we encourage it a lot. End of last year, we were actually shaming people who were not taking breaks. We have like leaderboards of people who don’t take breaks. I think that is the most basic and the most important one. Then again, we also check in with everyone quite regularly, we use 15Five, which is a great tool, to see how everyone is feeling and how everyone is doing. In reality, I think it really comes down to not pushing oneself. And being realistic about what can or cannot be done. We definitely have had circumstances of people that were close to the limits. I’m very proud that even though we don’t have a specific system or tool in place for it, our existing systems and people have noticed these things and we’ve tackled them. Again, when you are bootstrapped, self funded, you are hiring when things are breaking a bit, if you know what I mean. Ironically, you are a little bit more prone to pushing things a little bit more over the limit. Jeroen: Especially as you are working remote. I guess the barrier between work and life is also less apparent if you work from the kitchen table. In fact, what we have done around this is, we’ve introduced a few allowances. For example, while we give, I think it’s around 4,000 euros to set up your home office budget, so that’s equipment or chair or this. Then, we also have a monthly, what we call working space allowance that can be used if you want to go work in a café or in a coworking space. Or if you just need to get stuff at home to be able to kind of just basically have a nicer environment. We also have stuff like a holiday budget. This year, we introduced a coworking budget. You can fly out or travel by train to go work next to someone you live close to or far away from. David: Or if you have little kids and you can’t travel, you can use that fund to fly in people to work with you. Then, we also have a wellness budget, which can be used towards maybe even a therapist or going to the gym. We actually realized that the key is to have a compensation to our employees and contractors that is not only monetary, but in a way by having these allowances and budgets, we kind of in a way, force our team to utilize the resources. It’s been really amazing to have someone who is actually based in San Francisco, working for Hotjar. He said, the way you’ve done it and structured these allowances and everything, we love it, because we’ve never used these things, or done these things before, because obviously were being careful. We have a young family. I can see the impact of doing this. Also, we have a few people over in the US. They are obviously a minority, and they don’t spend that much. They don’t have as much time overlapping with the other team members. It was nice to see, now we’ve introduced a coworking space model. They all flew out to meet one of the team members who was in Mexico to spend time together. You can see the impact of having this in place. It builds up rapport and people get out of their homes. We also do sessions. This bonfire, I talked about what are the negatives and positives of remote working, and we shared tips about how to break up our day. I agree, it is definitely a challenge. There is again, a lot of self discipline that is required here. Jeroen: About the American colleagues. I was wondering, do they have the same mode of holidays as their European ones? David: Yes, and they love it obviously. What we’ve done is, we took quite a lot of our benefits, and allowances and all these things that we offer. A lot of them have evolved iteratively over time. We are lean even in doing that. I think we are now 60 people from around 17 countries or something like that. Especially when it comes to public holidays, and sick leave and parental leave, every country has different amounts. What we did was we said, screw public holidays. We are going to give everyone 40 days of leave. That means if you want to be off in your country on your public holiday, you have to book that, which means you inform the team. What’s great about that, is that I don’t particularly enjoy taking public holidays in Malta. That means I actually take rest when I need as opposed to when the government decides I should rest. Then, on top of that, we set quite high amounts of parental leave and sick leave. We also allow people to take unpaid leaves as well, for as long as they want. We’ve put together a structure which works independent of the countries. Everything works out of what we call the team-man way, that’s where we put all these rules together. Jeroen: Many countries have specific rules about public holidays. For instance, you need to take these leaves or be on parental leave for a certain amount of time. So you just managed to build the system that spans across all the countries and is complying to all of them? David: Yeah. What we have in most countries, are contractors, not employees. They would be kind of self employed. Jeroen: That makes it easier. David: That makes it much easier, and that obviously again, allows us to have this structure. In choosing the numbers for parental leave and everything, we’ve made sure we cover pretty much every country, even the most ambitious ones — to make sure we are covered across the board. One thing that we do by the way, for parental leave is, we give the same amount of leave to both mothers and fathers. This is something that we are quite passionate about. If you are lucky enough to have a little one joining the family, I think as fathers, we should have the same right as well, right? Enjoy that special time as well. Jeroen: Absolutely! In terms of time, how many hours do you work per day for Hotjar? David: The lines are definitely quite blurry. As the CEO, I don’t have many people to take care of me, my burnout or division of time. I think earlier on, I used to work much longer hours. It was a little bit too much. Now I have two young kids, one is going be four tomorrow. David: Thank you! The other one is one. He’s going to be two in June. I actually use my calendar now. Every day, from about six o’clock, I have a three hour block for dinner, which means no one can book anything with me then. I actually stand up and leave. Jeroen: That’s a Maltese dinner then, three hours. David: It’s mainly feeding the kids, it means taking care of them afterwards, putting them to sleep and all that stuff. Just making sure I stay involved. I’d say roughly, it’s not that extreme. Probably I’m working around 50–60 hours a week right now. Jeroen: Better than being a strategy consultant. Jeroen: Oh, I’m sure. Where are you actually based out of, because you mentioned Australia and Malta? David: I’m based in Malta now. Jeroen: Ok, based in Malta. David: Yeah, my wife is Swedish. She loves Malta and the weather we have here. We have all our family here. We love being here. Many people think that we are in Malta for tax reasons, but actually that’s not the case. As Maltese entrepreneurs, we actually pay a relatively high tax, European standard-wise. David: Yeah. I think corporate tax is around 35%. We are not complaining, but it’s just interesting that Malta has created a reputation for itself as being a tax optimization place, but it’s not the case for us. Jeroen: Is the company also based in Malta then, because you mentioned corporate taxes? David: Yes. It’s a Maltese trading company. Jeroen: Are there any other cool companies in Malta, or is it just you guys? David: There are a few cool companies in Malta, but in very diverse industries though. Jeroen: Not so much in the same sphere? Jeroen: Do you find any local talents or again, is that just you? David: No, we do. We have found local talent, but we don’t think of it as local, if you know what I mean. To us, it’s just like, it’s another country. We might find people in Malta, but it doesn’t make much of a difference. In Malta, we do have, what we call a lounge. It’s kind of a HQ, where basically we can do meetings and stuff, but no one has a desk or an office or anything. We typically hang out there on Wednesdays and Fridays. Jeroen: Do you often do things in Malta with the team or do people generally stay around where they are? David: Sometimes people come into Malta, especially if someone new joins the team. We might do a meeting here. Sometimes, we do meetups but we are actually moving away from doing that. Malta is not the most optimal traveling place. It typically requires a stop. For example, now we have a leadership meeting coming up in May. We are all going to meet in London, because it’s one central location, we all can fly in. Then again, twice a year, we do a whole company meetup or retreat. The next one coming up, in June, is actually in Malta. It hasn’t happened in two and a half years. Last one, in December, was in The Alps, and the one before that, was in Spain Marbella. Jeroen: That’s nice. Slowly wrapping up, what’s the latest good book you’ve read and why did you choose to read it? David: That’s a difficult one. I read quite a lot of books. Jeroen: The latest good one? David: I’m a big fan of Radical Candor. It’s a great book that we’ve used to improve the way we give feedback to each other within the company. We’ve also done training around it. I was recently speaking at an event in Stockholm, and I decided on the way there that I wanted to improve the way I present. I read the book then. I’m sure you’ve heard of TED Talks, right? David: There is actually a book called TED Talks, and it’s kind of the official guide to public speaking. That was quite a good book! Jeroen: I’ve heard people talking about it, but I haven’t read it myself yet. David: I highly recommend it for anyone who wants to be presenting. Jeroen: Radical Candor and TED Talks? Jeroen: Candor is very related to your values also I guess. Jeroen: The transparency value you mentioned, in particular. Last question, if you were to start over with Hotjar, what would you have done differently? David: I hate this question. Jeroen: That’s why I ask it! David: I hate it because the reality is, that I’m quite a perfectionist. If I go back, I’ll do a lot of things differently. The problem is, whether we would succeed or not, right? Whether I’d screw it up or not? Definitely, I would say, I would have wanted to spend more time, a little bit more time in beta. A little bit more time defining and designing what the product would be in the future. Over the last year, we’ve moved a little bit slower, because we’ve had to re-architect, to re-engineer the back ends. That could have been potentially avoided. Having said that, that could have easily meant that we missed this perfect time window within which we launched. Then we wouldn’t have been as successful. It’s always difficult. I’d say it’s this really difficult balance when you launch something quick to go to the market quickly or build something a little bit more complex, thinking more of future growth. I say that because the previous startup we did, we spent quite a lot of time building upfront, but then we actually didn’t succeed, because we spent too much time building instead of validating. That’s why I said I would have loved to run the beta longer. We had the eight to nine months of beta. I think we could have easily done a year or a year and a half. Jeroen: More learning. So that in the long term, you get better results with your product? Jeroen: I totally understand. Well, that’s all for now! Thank you again David, for being on Founder Coffee. Talking with you was super interesting! David: Been a pleasure, great questions, man. Jeroen: Thank you and we’ll catch up again, soon!